Frakt fri från 8 skivor! The whole story started in winter 2003. We felt very curious about sound reproduction, especially about loudspeakers. We constructed our first system and it became clear that speaker construction involves art and science combined. Our research in designing good speakers lasted almost 8 years. By this time we tried many different enclosure designs, drivers, filter designs and lot more. These 8 years of research were worth it. Today we know how to create very natural sounding and good looking speakers. First impresion in constructing speakers became our motto: "the Art and Science of Speakers Engineering". AudioSolutions was founded in summer 2011. AudioSolutions is registered company with the Companies' Registerof Lithuania as Individual Activity No. (4.65)-332-2694. The AudioSolutions registered office address is Kovo 11-osios g. 47-92, LT-27122, Vilnius, Lithuania. 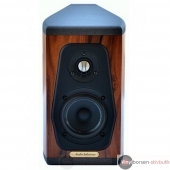 Owned and founded in 2010 by a talented speaker engineer Gediminas Gaidelis, AudioSolutions speakers are produced and manufactured in Vilnius, Lithuania (EU). Development of these fine speakers is a true challenge. We combine laws of physics with design, manufacturing stability and customers' needs to make perfect speakers. Every smallest part is hand crafted and inspected for any flaws. Years of hard work and research are hidden behind this revealing short name - not only in the realm of achieving ideal sonic abilities, but also in practical realization of pioneering ideas. 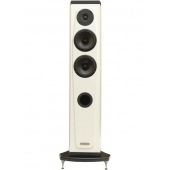 AudioSolutions steps firmly into High-End territory. AudioSolutions speaker systems will be exhibited by Netherlands distributor "Darius Audio" in X-fi audioshow 2016. Show will be held in 24 & 25 september, Koningshof (Veldhoven, NH Hotel), Room 18. Guimbarde studio speaker in room. Best sound ever heard from PC. 2015-11-11 | We give You Overture! AudioSolutions will participate in High-End audio show "Audio Gourmet 2015". Meet us in room no.2. Only few days left till annual Audio Show in Poland. We will present our newest speaker line. AudioSolutions team are waiting to see You there. AudioSolutions will participate in Guangzhou AV Show, China by distributor Shantou Hongyun Light & Sound Technology Co., Ltd.
2015-06-17 | AudioSolutions speaker already can be found in China. AudioSolutions signed contract for distribution in China territory. We are very happy and looking forward to making chinese audiophiles happy. We are very happy to receive such prestigious award. When such things happen, you know you are doing things right. 2015-01-12 | AudioSolutions officially received award for Euphony 140! Today we officially received Fairaudio's award for Euphony 140 speaker as Fairaudio's favourite! Thank You, it is a big pleasure for us! 2014-12-28 | Euphony 140 awarded as Fairaudio's favourite 2014! 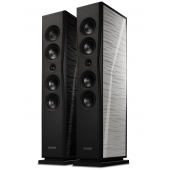 Distributor for France Exclusive Audio will exhibit AudioSolutions Euphony 140 and Euphony 40 speakers in Paris Hi-Fi show 2014. You will find us in second floor. Hi-fi Show will open its door on the weekend of November 15 and 16 at the Marriott hotel located in Paris. 2014-11-02 | AudioSolutions in Warsaw AudioShow 2014. AudioSolutions speakers will be exhibited in Warsaw AudioShow 2014 by distributor for Poland - Premium Sound. Show will be held at Sobieski hotel in November 08-09 days. AudioSolutions owner Gediminas Gaidelis will be visiting show, don't miss chance to learn more about speakers directly from manufacturer. 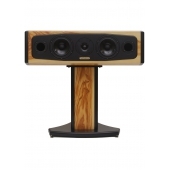 Distributor for Russia "Musical Paradise" will present Vantage flagship speaker in Moscow Hi-End Show 2014. Company owner Gediminas Gaidelis will be in show and personally answer all questions about Vantage speakers. Show will be held in 1-3d of November at Holyday Inn hotel. We will meet You in room 220. 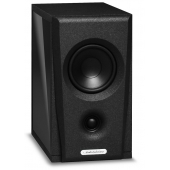 You may read or download Vantage speaker brochure here. 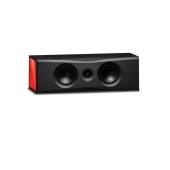 2014-10-21 | AudioSolutions presents You the Vantage! 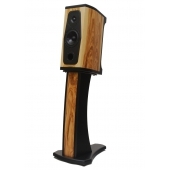 Top Hi-End speakers features tri-amping binding posts, crossover with fine-tuning ability, 300w RMS, 92dB sensitivity, 21-30000 Hz frequency response, and impressive midrange driver covering 200-10000 Hz range. 70Kg of pure elegancy and Hi-End perfomance. Show will be held at 1-2 of November in Krefeld Germany by our distributor in Germany Genuin Audio Vertrieb. AudioSolutions will participate in annual Hi-End show "Audio Gourmet 2014". Show will be held in Radison Blu hotel Vilnius Lithuania at 18-19.10.2014. We will present our new top Hi-End class speaker "Vantage". Will meet You in room 6. 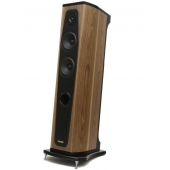 AudioSolutions speaker will be exhibited at Munich Hi-End show 2014 by German distributor Genuine Audio Vertrieb. You will find us in Hall 3 J07 booth. We will exhibit most of Rhapsody series range including Rhapsody 200 model. Will meet You there. AudioSolutions will participate in Hi-Fi & High End Show Moscow 2014, which will be held at Crocus Expo International Exhibition Center on 10 - 13 April 2014. AudioSolutions announces new ultimate speaker system prototype Vantage. This will be stylish and luxury looking speaker equiped with highest class drivers base, ultra high grade crossover components and flawless parameters. Vantage will be the most competitive product in every way. Stay tuned, Vantage coming up soon. AudioSolutions products will be exhibited by Poland distributor PREMIUMSOUND on 9-10 November in hotel Jan III Sobieski 7-th floor 702 and 708 rooms. The show will be held by our distributor ACOUSTIC DIMENSION in Philippines on November 9-10/2013 at the 5-star Manila Dusit Hotel in Makati City. Room number 410. Acoustic Dimension will exhibit all Rhapsody models. 2013-09-16 | AudioSolutions will participate in Germany audio show "West German HiFi Days"
Due to many e-mails received asking for bigger, more powerful and affordable speaker, AudioSolutions team created and launched newest model Euphony 140. This model consists of two bass drivers loaded in vented cabinet, one mid driver also loaded in vented cabinet, and silk dome tweeter. For more information please visit our "Collections" section. AudioSolutions reached an agreement with Mr. Thomas Wendt from Audio Vertrieb company (www.genuin-audio.de). 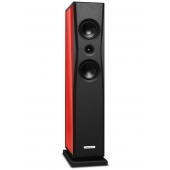 We are very happy that more and more audio enthusiasts discover AudioSolutions speaker. 2013-07-25 | Philippines and Lithuania reached an agreement. Our newest distributor in the east - Mr. Eric from Acoustic Dimension. We are happy to see that interest in the east is rising. Our team wishes great start in upcoming shows. AudioSolutions and Russian distributor Musical Paradise will participate in HI-END show Moscow 2013. Show will be held in 11-14 April, hotel Aquarium room 325 http://www.hifishow.ru/ Will meet You there! AudioSolutions team celebrates huge success in IHEAC show 2012 and new dealers from Russian Federation and Indonesia! 2012-11-18 | AudioSolutions Rhapsody 60 and Rhapsody 130 in Indonesia High-end show (IHEAC Show 2012). Meet AudioSolutions Rhapsody series speakers in Indonesia during "IHEAC Show 2012". Speakers will be exhibited by Surja Sutantio and Fajar Gunawan from Finesse-audio (www.finesse-audio.com) in rooms 1328 and 1320. The 2nd IHEAC Show will be held on 2012 December 7-8-9 The Sultan Hotel Jakarta Venu. 2012-01-12 | AudioSolutions team celebrates. We have the very first dealer in Europe! We are very happy that we reached agreement with company "Audio Komponentai". This is second big step for AudioSolutions after debut in Hi-end audio show "Audio Gourmet 2011". We are optimistically looking forward for more dealers in other countryes to share our passion in art of sound reproduction. 2012-01-05 | AudioSolutions announces new speaker line "Euphony"
AudioSolutions is proud to announce new cost-effective speaker line "Euphony". The best way to enter audiophile world for every one. This line will consist of four models equipted with high-grade audio components. AudioSolutions celebrates the very first audio event. 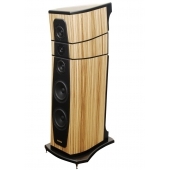 In audio show “AudioGourmet 2011” AudioSolutions debutes with three speaker models of one collection. Rhapsody 60, Rhapsody 80 and Rhapsody 130. This was a great event and we were glad to have an opportunity to show our products for many music lovers and audiophiles. Original text is in Polish language, you may try to use translator. 2014-01-01 | Rhapsody 80 in German I-Fidelity magazine. We got our first review in Germany. Rhapsody 80 was honored for "Highlight" nomination! Please use google translate if necessary. 2013-12-09 | AudioSolutions Rhapsody 130 review by Polish magazine "SoundRebels". 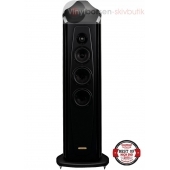 2013-12-08 | AudioSolutions Rhapsody 130 review by French internet magazine "HiFi Test" . This is the second review of Rhapsody series speaker by Mr. Wojciech. First review was dedicated for Rhapsody 60's. After a successful Hi-End show in Poland Warsaw, reviewers from StereoLife magazine tested Euphony 50 speaker, and...we won an award - StereoLife Recommendation! Read article here (in Polish language only). We got review from well known and one of the biggest Russia magazines Hi-Fi.ru Sorry, but only in Russian language, please try to use google translate. We got review from the North American magazine SoundStage! HI-Fi, which is part of the SoundStage! Network. Many thanks to Doug Schneider for such honest review. We got review from well known Lithuanian internet magazine www.gramofonas.lt Sorry but review is in Lithuanian language only, readers may try to use google translate. 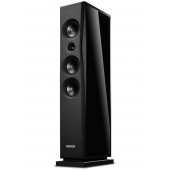 Review of bookshelf speakers Rhapsody 60 is in two languages. AudioSolutions got it's first review. Mr. Srajan from 6moons internet magazine agreed to do some listening tests without a doubt. We are very happy that we didn't let Mr. Srajan down with our product quality - Mr. Srajan decided to have Rhapsody 200 on its reference audio gear!